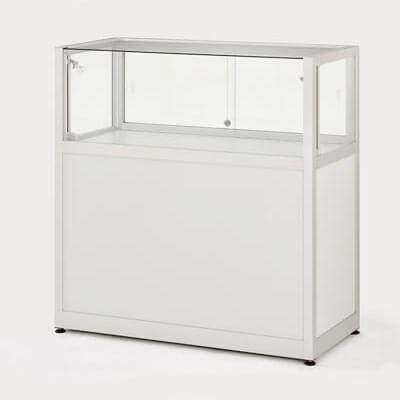 For glass showcase and display cabinet hire look no further than Access Displays. 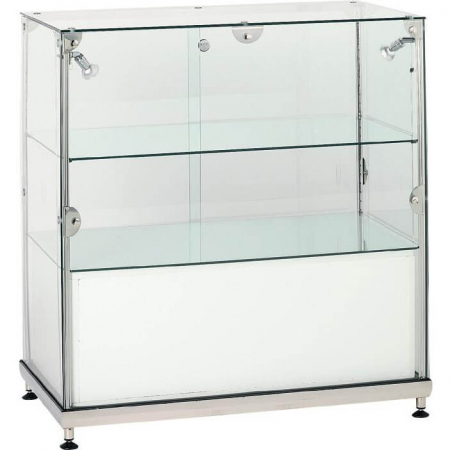 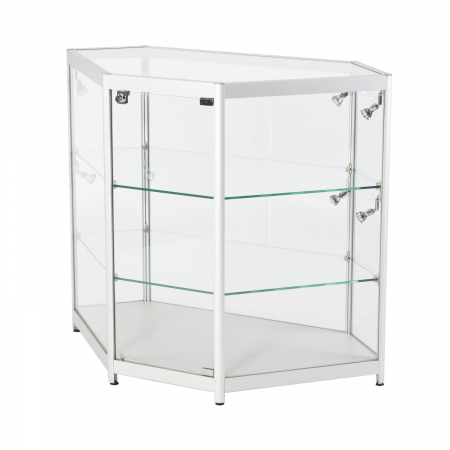 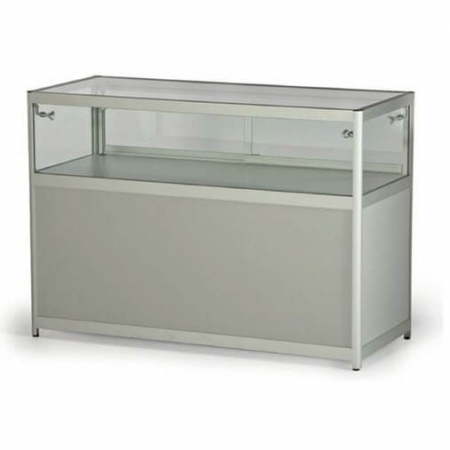 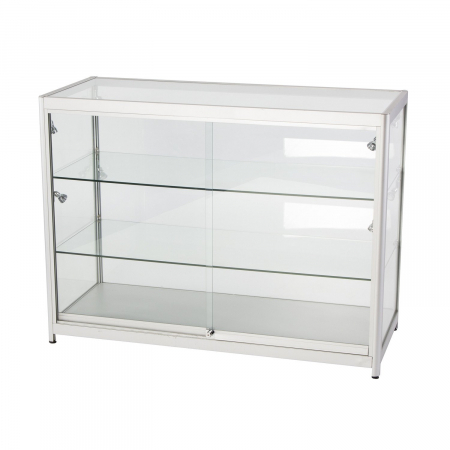 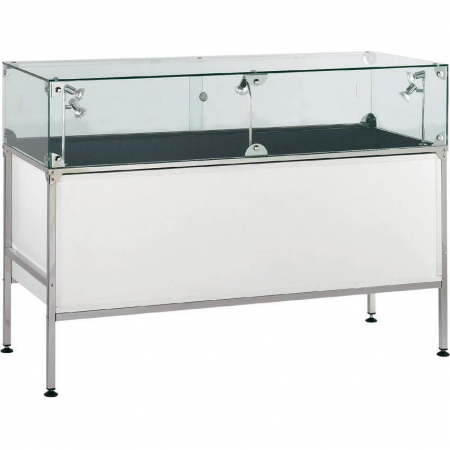 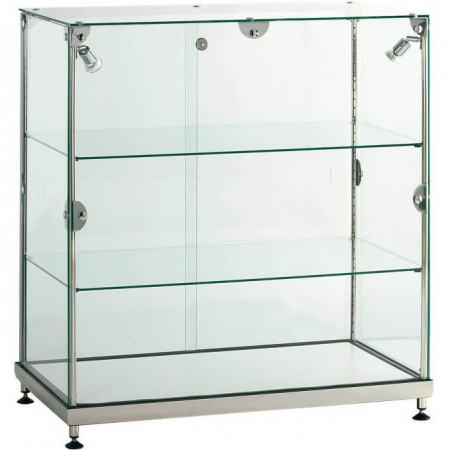 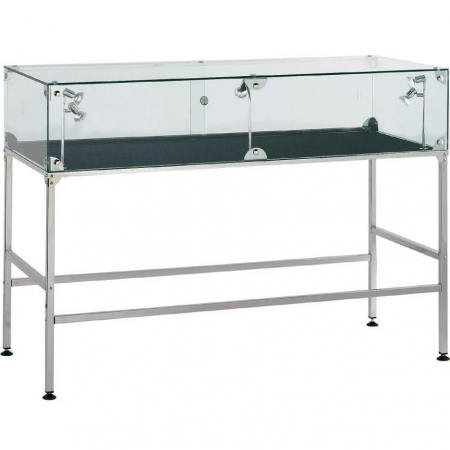 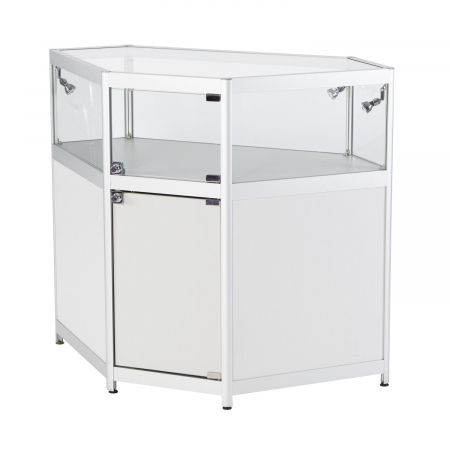 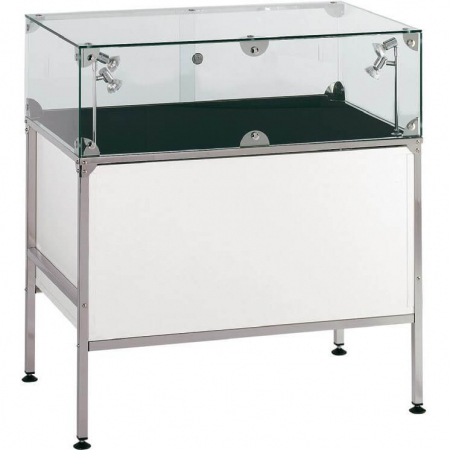 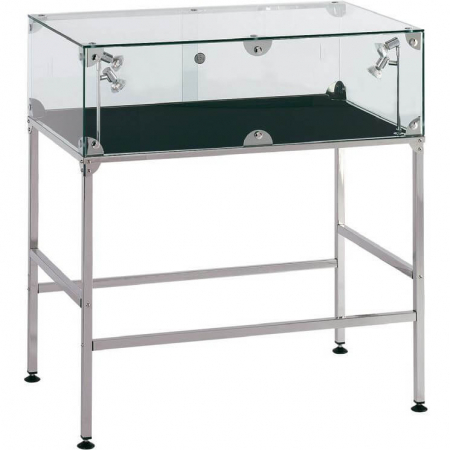 We have access to a large stock of glass counters, freestanding and corner showcases. 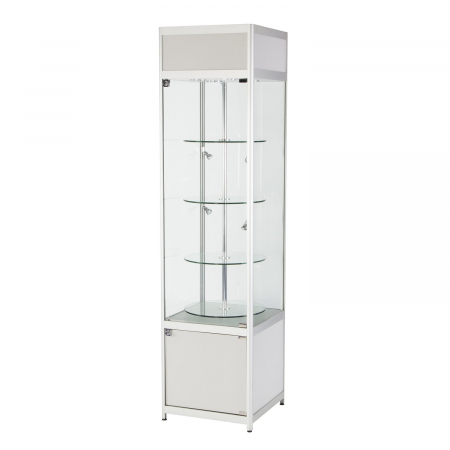 Available with flexible delivery and collection options to and from the major exhibitions in London, Birmingham and Manchester. 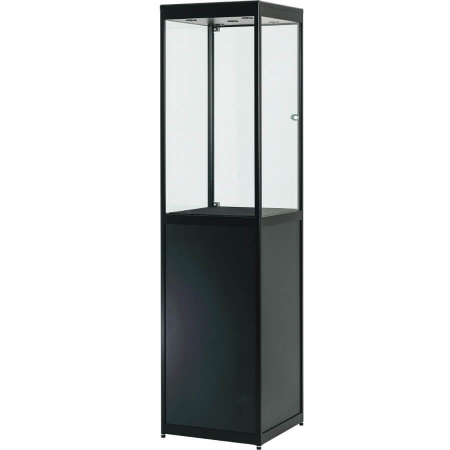 With venues including Excel, Earls Court, Olympia, NEC and all over the UK. 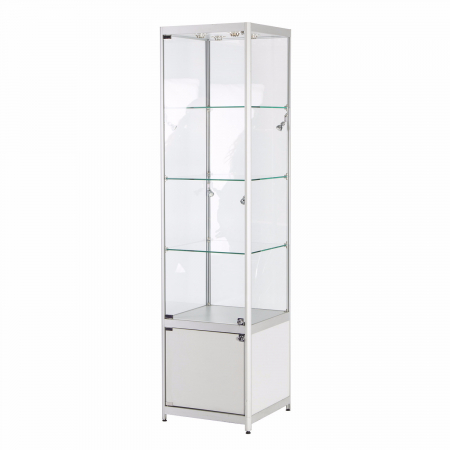 Most of our display cabinets for hire include FREE delivery to major UK exhibitions and all events at The NEC Birmingham! 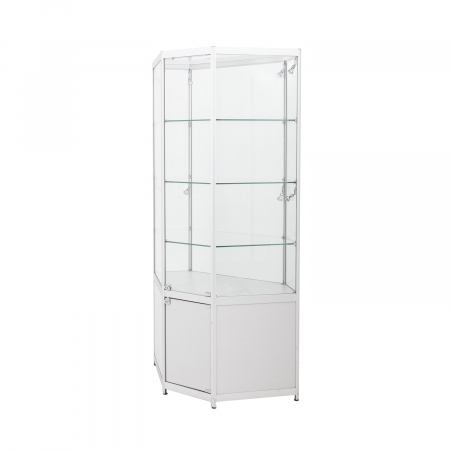 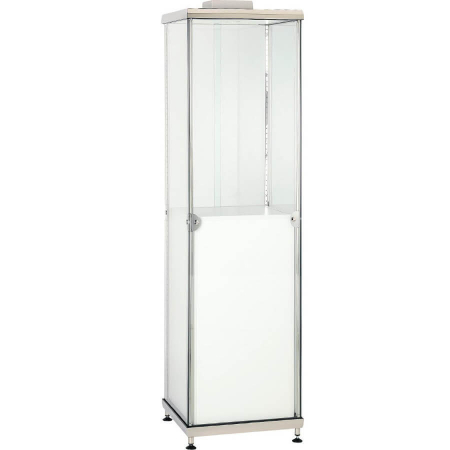 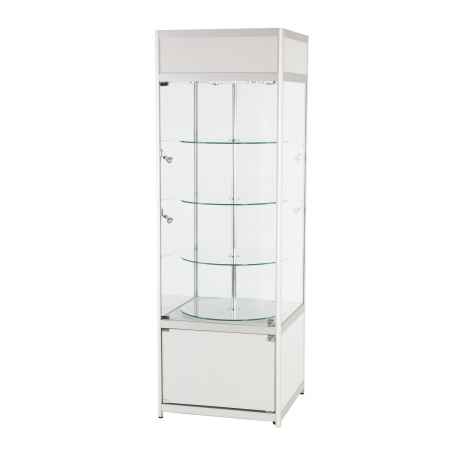 Our cabinets are ideal for exhibitions and other display purposes. 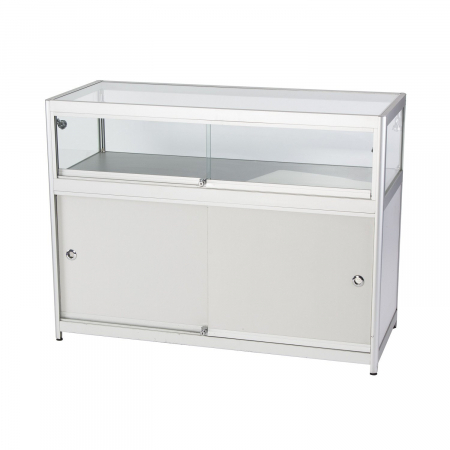 Features include lockable doors and toughened glass. 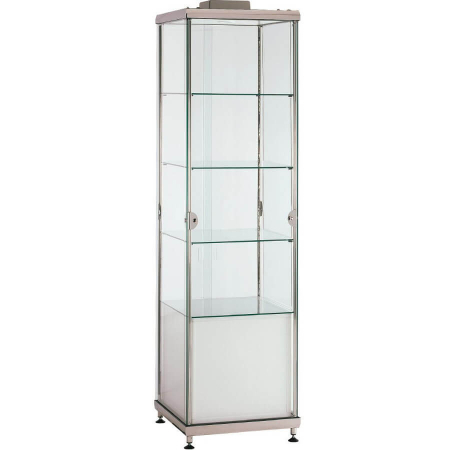 We also have various coloured finishes available. 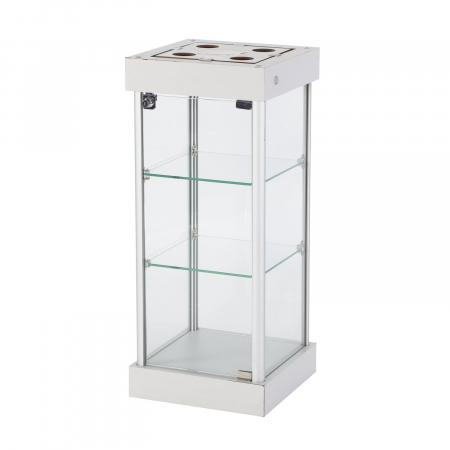 Flexible hire periods mean that you can rent for anything from 1 day to a year. 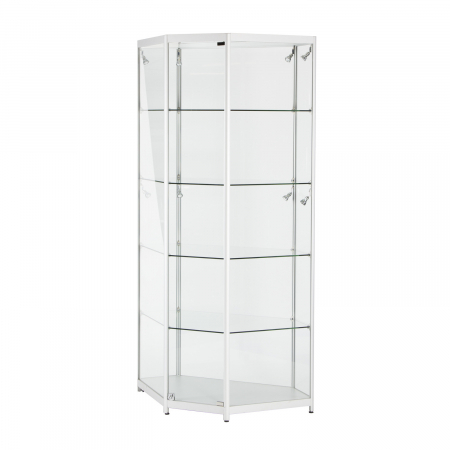 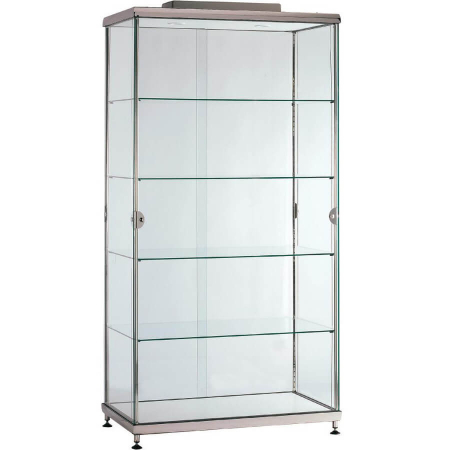 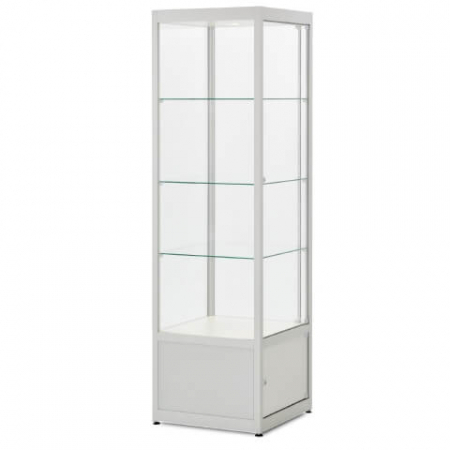 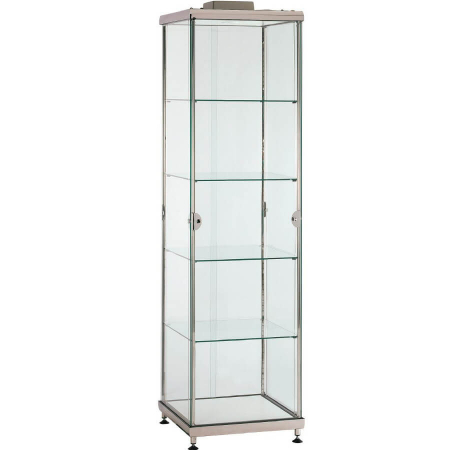 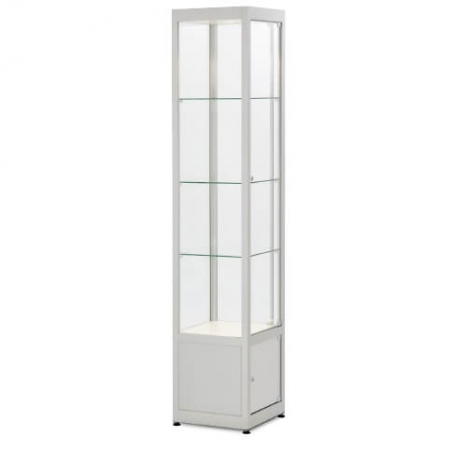 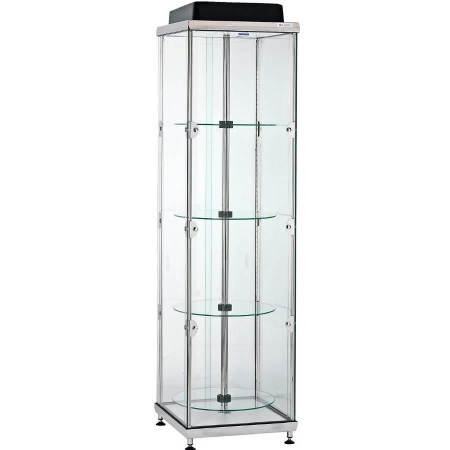 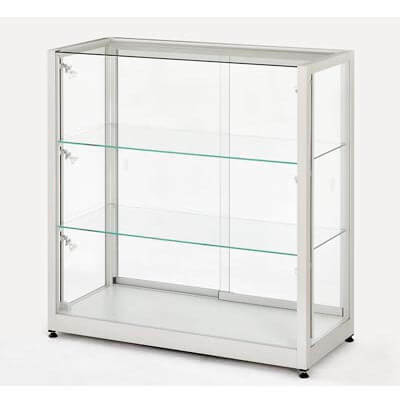 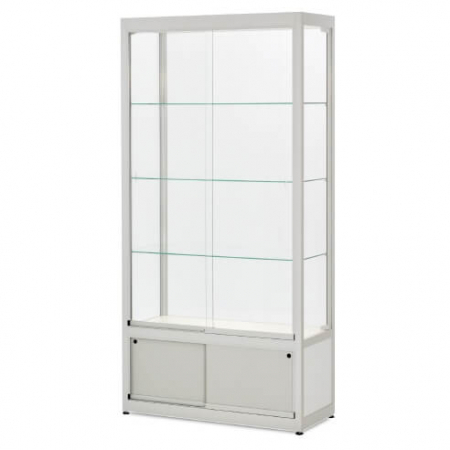 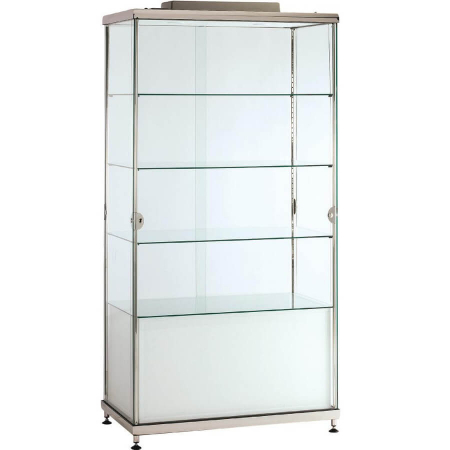 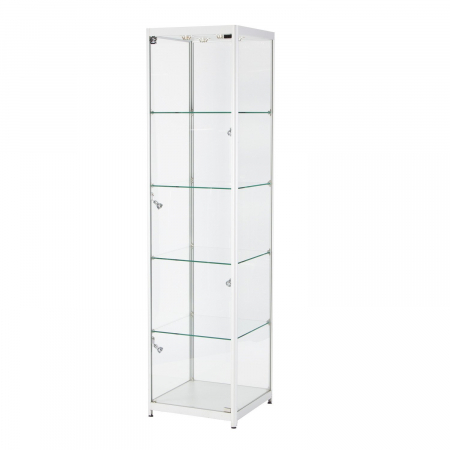 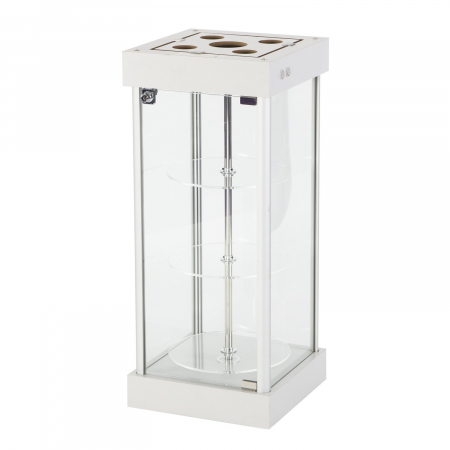 There’s also the option of purchasing the display cabinets at a discounted price. 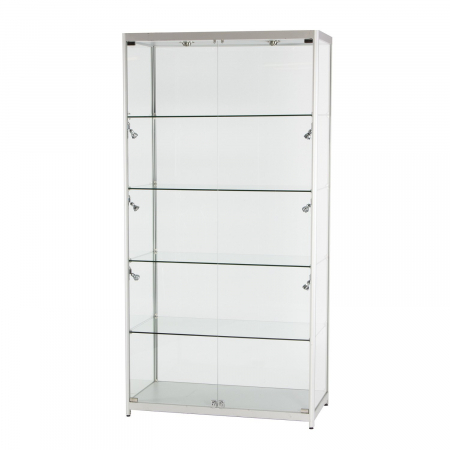 If you need a certain size, style or specification, such as shelves, lighting or a lockable cupboard please get in touch. 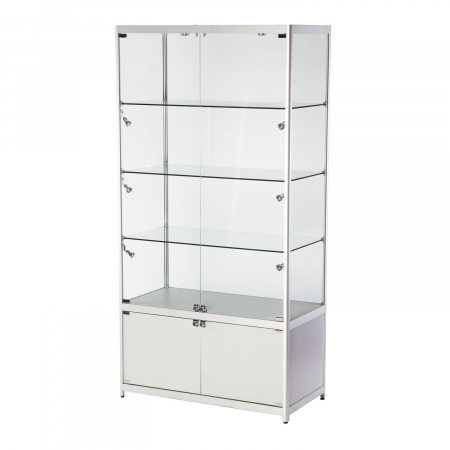 We can advise of the best cabinet to suit your budget. 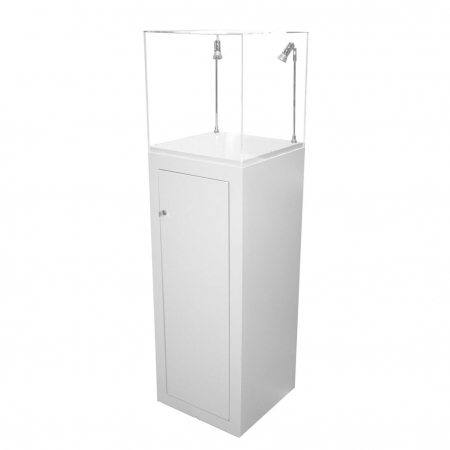 Call today on 01793 613088.